In the spring of 1988, a small group of Orthodox Christians dedicated themselves to bring His Holy Church to the Temecula Valley. Through hard work and prayers, this small group began to grow, and on June 30, 1991 the first Divine Liturgy was held in a small office building with Very Rev. Father Leonidas Contos presiding. On September 27, 1991, His Eminence Metropolitan Anthony officially confirmed the Mission Parish of St. Nicholas Greek Orthodox Church. In his acknowledgment to the congregation, he stated, "that the true strength and beauty of Orthodoxy is when it transcends ethnic identities and strives to identify only with Christ, within the sacred tradition that is the common inheritance of all Orthodox peoples." This was expressed by His Eminence due to the diverse ethnicity that began this Parish, which we are proud to continue to have to this day. Through the years the faithful grew, the ministries for spiritual growth developed and established themselves in the Temecula community. Fundraisers from Greek festivals to a thrift store helped finance the growth and promote outreach programs. We became intertwined with other philanthropic organizations throughout the Temecula Valley and gave not only monetarily, but of ourselves. 2 1/2 acre parcel which included a 3,000 square foot building in Murrieta, California. Since the purchase, the building has been renovated to include our current church, fellowship hall, office and kitchen. Sunday school is taught in a converted trailer, and the church grounds now host the needs of the congregation. 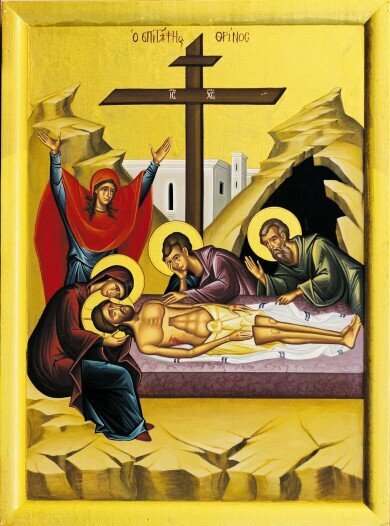 The first divine liturgy was held on Saturday of Lazarus, April 4, 2015 with Father Andrew Lesko presiding. The Parish now has its permanent home for our new church and auxiliary buildings. Our inspiration, drive, determination and most importantly faith and love of Christ will guide us to see our dreams come true. As the pioneers of this Parish laid the seeds and grew the foundation for Orthodoxy to become a reality in the Temecula Valley, so too will the present and future generations continue the journey to build His church for all Orthodox Christians. Through the devoted service of the first priest of St. Nicholas, Father Eugene Tarris, to our current presiding priest Father Andrew Lesko, through those who served on parish councils, as Sunday School teachers, as Philoptochos members, youth ministries and choir members, through those who taught dance, language and crafts, through those who chaired the multitude of events, and through all who prayed and labored in every task no matter how big or small, we stand here today as a family and celebrate 25 years. Please join us for Sunday services.